Wexford Skin Clinic | My Story! - Wexford Skin ClinicMy Story! People often ask me where did I learn about the skin… usually I tell them from skin courses and in my training to be a Naturopath. 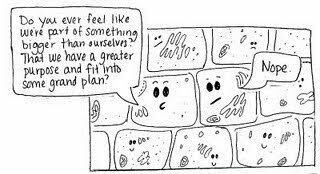 Truth is, our skin is made up of millions of cells, just as our whole body is and I learned my biggest lessons the day my cells stopped working! In 2011, I decided at the grand old age of 33, it was time to get fit. I’d always been quite conscious of my food choices as I had never had a strong digestive system. But exercise was most definitely not a passion of mine! I started seeing a personal trainer and began strength training… I soon progressed to doing 3 one-to-one sessions a week and I loved it! Unfortunately it didn’t love me! After about 6 months I started to experience weakness in my arms… being typically full of “catholic-guilt”, I stupidly pushed through it and did not listen to my body…..BIG MISTAKE. Having been scanned and had my bloods tested numerous times to no avail, eventually I was diagnosed with Fibromyalgia by a Rheumatologist. Her advice was career change, medication and gentle exercise! Having been diagnosed with irritable bowel in my teens, I knew that these diagnoses are just putting a name on something when they can’t find anything wrong! I’m a big believer in, if I wasn’t born with it, if I give my body the right tools, it can fix itself! So for the last 7 years I have tried everything…. I’ve been to osteopaths, physios, acupuncturists, herbalists, reiki masters, nutrionists and lots lots more! I’ve done enemas, colonic irrigation’s, I.V. Vitamin infusions….had stool, saliva and urine tests….you name it I’ve done it! In 2015 when I launched Wexford Skin Clinic, I only opened 4 days a week…the reason being was I needed 3 days to recover! Every Friday I would come home from work, put on my pyjamas and lie on the couch….there I remained until Tuesday morning! It sounds dramatic but to walk up the stairs was sometimes too much! At 37 it’s very scary to feel this way and wonder if life will ever feel any better or is this just going to continue to get worse? Last year I heard about Nadura Clinic and willing to try anything I rang and made an appointment to see Anita. She did an extremely thorough consultation and from there she recommended a food and supplement plan. Anita suspected that my methylation cycle was not functioning effectively… this means my body was struggling to perform basic functions such detoxification, energy production, managing inflammation etc. She sent me to a Dublin clinic for blood tests (the secretary was telling me they were the only place in Europe that did these specific bloods, so basically it’s not offered in our medical system) and voila, she was right! I had a lady in the clinic this week who is a nurse and she has a chronic skin condition… when I explained to her about my fibromyalgia and how the only way to treat chronic skin conditions is the same as treating chronic health conditions, find the route cause, she stared at me in disbelief….. not because she thought I was off my rocker (lol , most people do!!) but because she couldn’t believe I was managing to work, never mind manage my own business. I know people that chose to go down the medication route when diagnosed, they have since had to give up work and can end up pretty much bed-bound for days/weeks at a time! It has never made sense to me to put toxic pharmaceutical drugs into a body which is clearly struggling to function in the first place…it’s no different with skin and we see a lot of clients coming through our door that have tried the steroid creams, anti-biotics, roaccutane etc and as The Verve said, The Drugs Don’t Work….well not with chronic issues anyway! Guess who’s holding a clinic in Wexford Skin Clinic next week…Anita from Nadura! Let them know about our upcoming clinic as there’s very few spaces left! Could this common fungus be causing your skin & health problems??? ?